Use this parts of speech quiz to test yourself or test your students. You'll find four parts to this quiz. The answers are at the bottom of the page. This parts of speech quiz covers the parts of speech. (Imagine that!) Here is a brief definition of each part of speech. 1. Nouns are words that name people, places, things, or ideas. 2. Pronouns are words that take the place of nouns. 3. Verbs are words that show an action or a state of being. 6. Prepositions are words that describe the relationship between a noun or pronoun and some other word or element in the rest of the sentence. 7. Conjunctions are words that join two or more words, phrases, or clauses. 8. Interjections are words that show emotion. If you know all of that, you're ready for the quiz! Directions: Label the part of speech for each word in bold. If you just wrote noun for the answer, that is good, too. Whenever possible, I like to be more descriptive, but if you just have the part of speech, that's okay! Answers are at the bottom of the page. When (1) Mary Lennox (2) was (3) sent to Misselthwaite Manor to live (4) with her uncle everybody (5) said she was the (6) most disagreeable-looking child ever seen. It was true, too. (7) She had a little thin face (8) and a little thin body, thin light hair and a (9) sour expression. (10) Her hair was (11) yellow, and her face was yellow (12) because she had been born (13) in (14) India and had always been ill in one way (15) or another. Directions: Match the part of speech to the correct definition. Directions: For the words in bold, choose the correct part of speech from the choices listed in a and b. Directions: Choose the correct word to fill in the blank from the choices listed in a and b. Example 1. I am doing __b. well___. Here are all of your answers to this parts of speech quiz. Check your work, learn more, and rock on! The parts in parentheses are optional. 1. I am doing ___b. well____. 2. You play the piano ____b. beautifully______. 3. I would like two glasses of __a. milk____. 4. __b. She____ is coming to the concert. 5. Yesterday, I ___b. played__ for two hours! 6. This song is __b. better___ than that song. 7. I sat __a. in___ the coffee shop. 8. My sister __a. is learning___ to play the flute. 9. I __b. am___ sleepy. 10. This closet is __a. more organized____ than my closet! 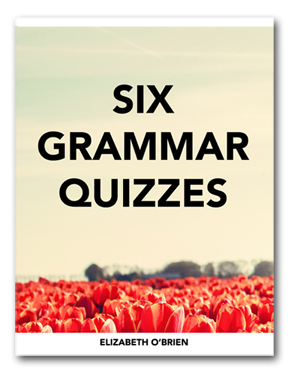 Would you like to download these grammar quizzes? Finished Parts of Speech Quizzes?